Adjustable bench with small storage. Available in ebony, white, mahogany and walnut. 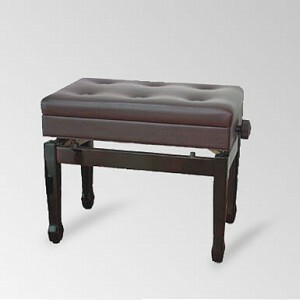 Adjustable bench with storage and clubbed leg detail. Available in ebony, mahogany and walnut.